We are dedicated to providing Saskatoon and Area with professional limousine rental service. Our SUV limousines are one of the highest quality limos available. 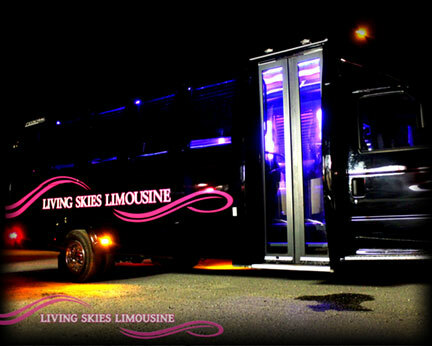 For any event in Saskatoon, Living Skies Limousine is your First Choice for Limo Service. We are offering our Prestige Luxury Limousine Service with our Lincoln Navigators for 140/hr for a 3 hour wedding booking, 130/hr for a 5 hour booking, and 125/hr for 7 hours or more. We offer complementary champagne and red carpet service with every wedding booking! Book Now to get the best service in the city! We are the only limo service in Saskatoon that lets you book your rental online. View our schedule, choose the day(s) you would like to rent and fill out the required info and your booked! LSL offers trolley tours around Saskatoon. Are you looking to tour Saskaton? Check out what tours we currently have available. Right from your stag & stagette to picking you up after your reception, we can take care of all your wedding transportation needs. Don't forget to book early as weekends tend to book up quickly.